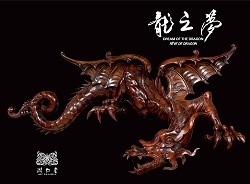 fascinating animal through this special exhibition entitled Dream Of The Dragon. fate is related with the dragon. I met a French dragon hunter! Parisian workshops that were active from this period. and art works that we are honoured to see here. a morsel of the past which too often is forgotten. didn’t he say, “Man without myth is like a person without roots”? and the imagination of Taoism. Johann Adam Schall (1592-1666), Martin Martini (1614-1661) must be considered. and curious letters written by foreign missions”. 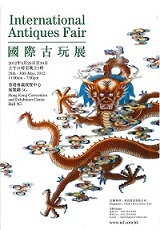 chinese objects and furniture to the french taste. second empire, a craze of Eugénie and the important people of this world. as history often requires, towards Egypt and the Orient. A certain “intellectual nomadism” and affection needs to feed from unusual forms. reinvent this “far away”, to feed from “dragons magots” and chimeras. within the magic of symbols. cabinetmakers, bronze smiths, wood turners and other companions. soft light of lanterns, in the shadow of quivering reeds. having participated in the sad China Expedition. at that time, already had one hundred employees. Gabriel Viardot was rewarded with a bronze medal. At the World Fair of 1855 in Paris a bronze medal was awarded to him again. adapted them to European tastes and usages, all the while conserving the asian style. medal, his furniture was a huge success. well as Tonkin inlaid pearls. He also improved his bronze furniture models which he conceived himself. In 1884 he was awarded a gold medal in Nice. Arts and again for the 1885 exhibition in Antwerp. foremen one of which was his assistant for twenty-five years. with him for twenty-seven years. art, finance and senior management. decors adorned with large draperies and old pots. small furniture (chairs, sofas, deck chairs) made from rattan, bamboo and cane enamelled. verandas, terraces of town houses and to decorate hotels and the most prestigious yachts. lacquered and inlaid bamboo furniture. His work was rewarded by two silver medals. sculptures, Coromandel screens and ceramic wares from the East India Company. imported from the Far- East. of furniture and antiques: silks, fabrics, ceramics, and bronzes. as well as animal bronzes. The gallery Perret- Vibert closed in 1994.
transferred to 364 in 1820.
and paintings and this helped to grow the company which his father had started. 1855 and 1867 where he won a bronze and a gold medal. antique furniture of the Garde-meuble, and excelled in this discipline. He did not create a lot of original furniture. he presented, in a large stand, many pieces of furniture and objects. He closed his workshop in 1895 and sold his collections. and ornamental vases combining cut crystal and gilded bronze. was to deliberately recreate an imaginary Orient, but along the lines of Western tastes. specialized in reproductions of Greek and Roman antiquities. - London, 1862, medals in three different classes: art furniture, bronzes and jewelry. Barbedienne exhibited some enamels called cloisonnés. presented the cloisonné enamels, which were highly acclaimed. - Vienna, 1873, two honorary diplomas, the Medal of Progress and 25 cooperative medals. -Paris, 1878, grand prize, gold medal, honorary diploma, and 28 cooperative medals. Napoleon’s Pompeian house and the imperial residences. him as head of the company. of champlevé and cloisonné enamels to compete with oriental imports then in vogue. its workshop in Paris using imported materials. in the 2nd arrondissement near the Opera. its competitors and colleagues from the same period Viardot-Perret and Vibert had done. the eastern French region of Lorraine. continued with difficulty until 1816. 300 people worked on the site. high quality glasses, candlesticks, vases and perfume bottles. shapes and decorations, breaking with the prevailing eclecticism, charmed the Europeans. appeared in Baccarat, the taille gravure.